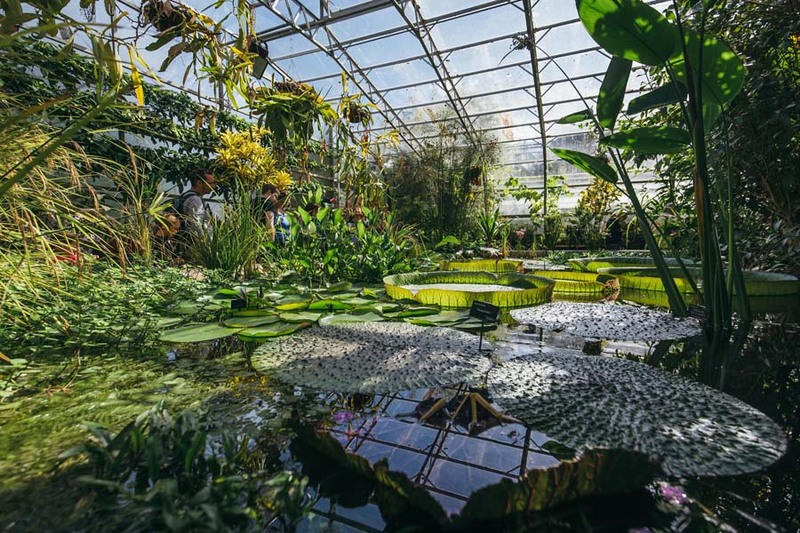 At the centre of the Garden’s most iconic glasshouse is the tropical water lily pond. 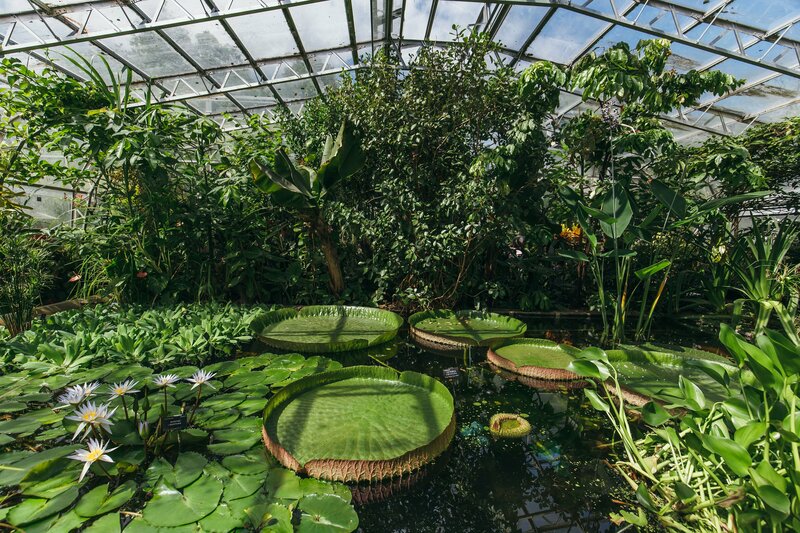 It dates from 1851, when it was built to allow the Garden to grow the giant Amazonian waterlily (Victoria amazonica). 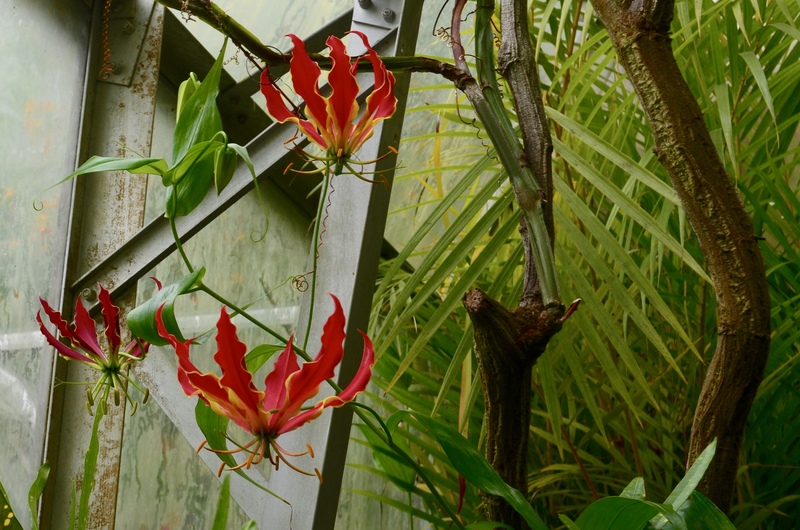 We now grow the more manageable species Victoria cruziana which is very similar. 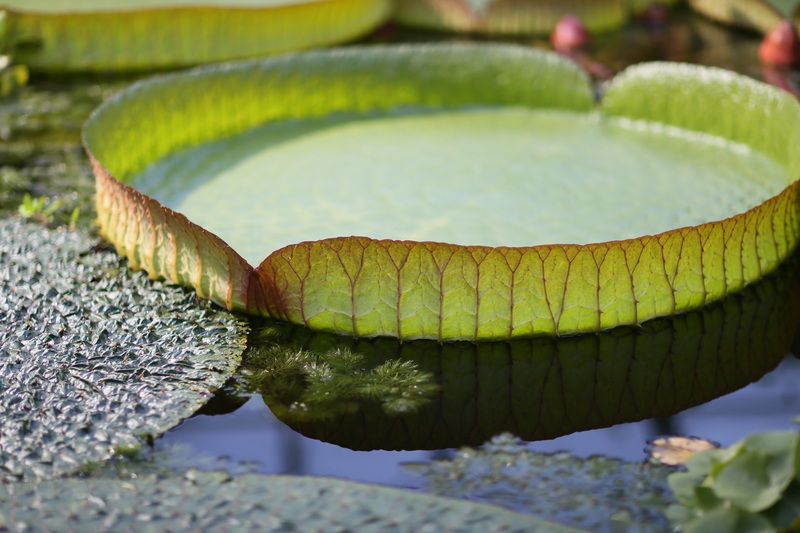 Also growing in the pond is the beautiful day-blooming Nymphaea x daubenyana. 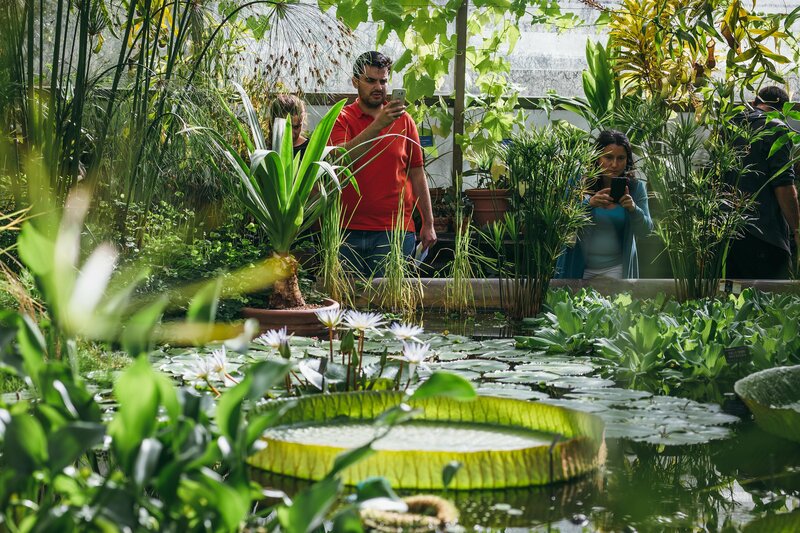 This hybrid water lily was first propagated here in 1874. 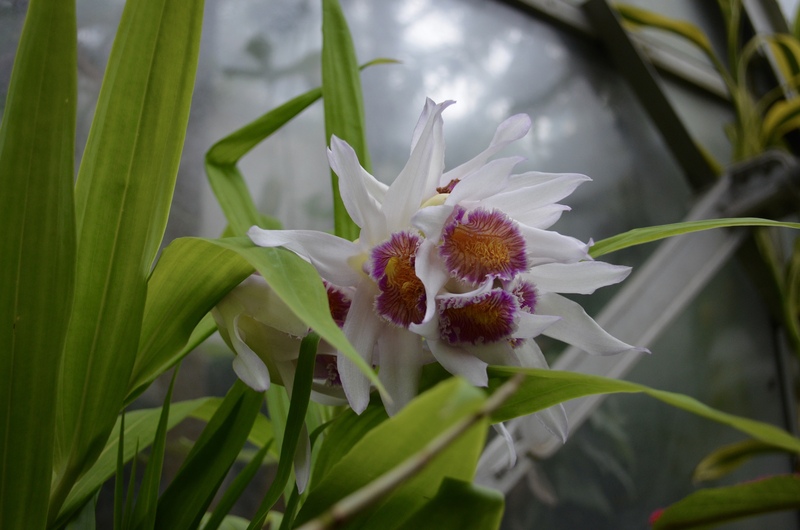 It was named in honour of Professor Daubeny, Keeper of the Garden from 1834 to 1867. 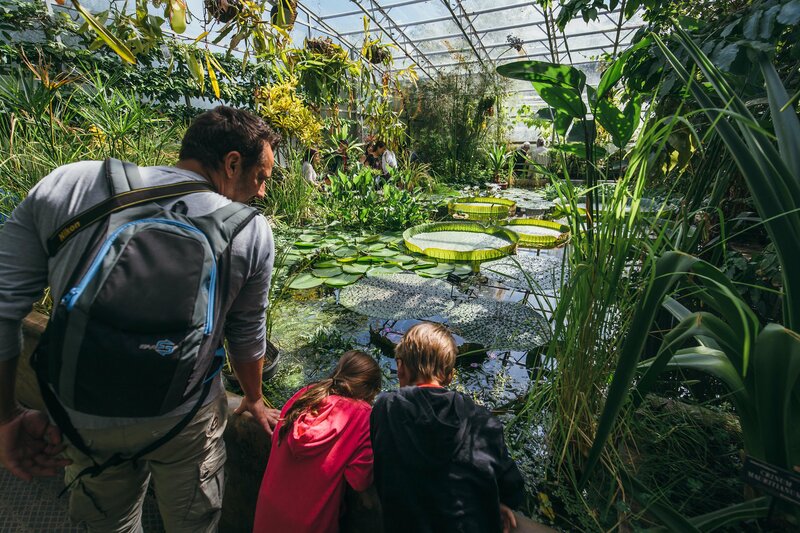 All the plants growing in the pond show adaptations to their aquatic lifestyle. 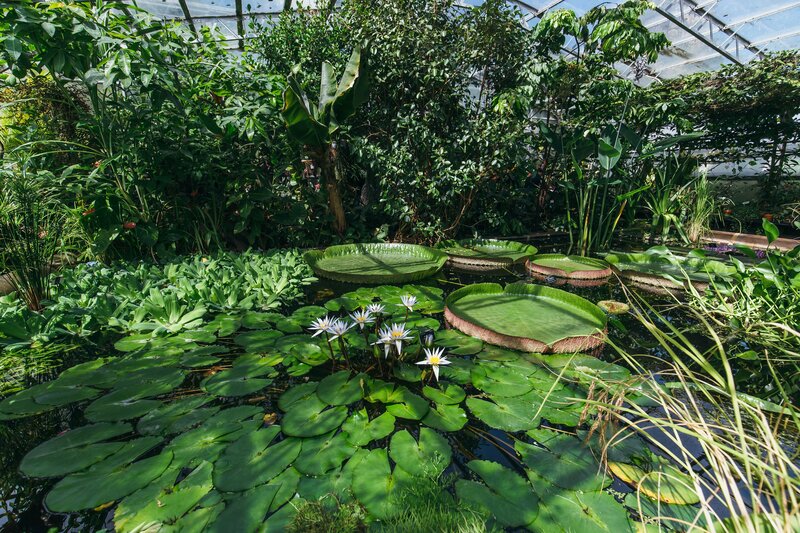 The water lilies have hollow stems that keep their leaves and flowers afloat. 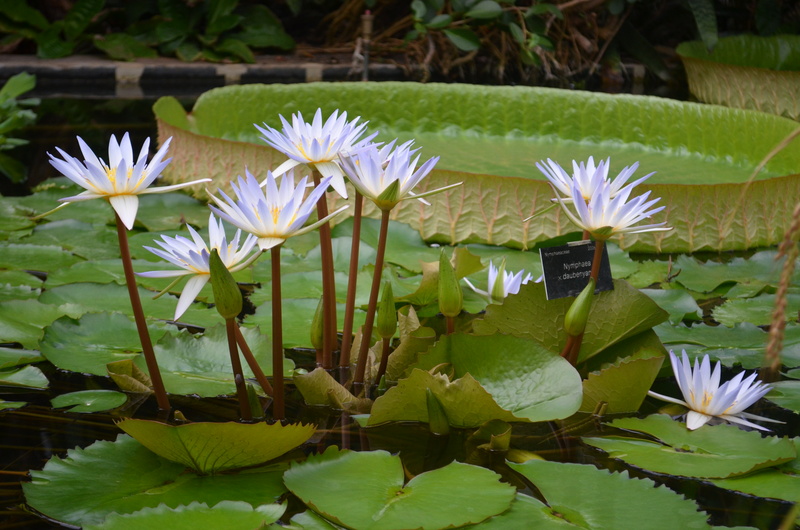 The leaves of the sacred lotus (Nelumbo nucifera) have water-repellent surfaces. At the margins of the pond is the plant that feeds more people on the planet than any other food – rice (Oryza sativa). There are as many as 120,000 varieties of cultivated rice, providing an annual global harvest of more than 520 million metric tons. Bananas (Musa spp.) 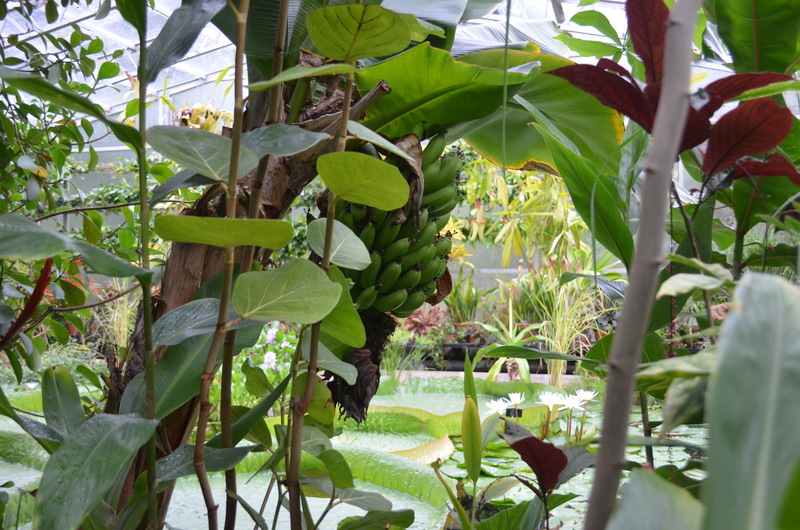 can be seen in the jungle-like borders surrounding the pond. 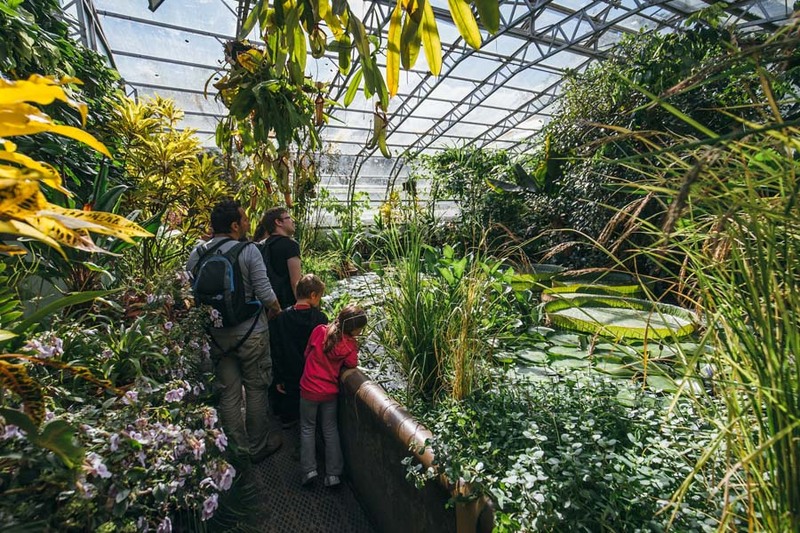 Want to view the other areas within our Glasshouses?